Did you know that OpenStack can be used for much more than to develop an infrastructure-as-a-service (IaaS) cloud, such as serving as a foundation for a platform-as-a-service (PaaS)? An industry leading PaaS option can be deployed via OpenStack, giving users the ability to run and scale their own PaaS in production quickly and efficiently. Interested and want to learn more? 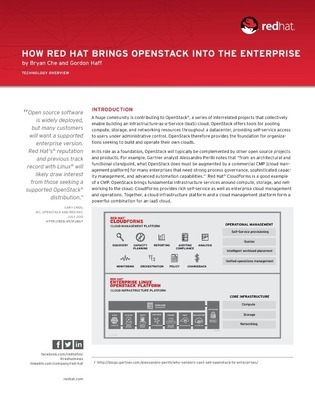 Explore this exclusive resource to uncover Red Hat’s approach to OpenStack, what they’ve gained from this technology and much more.